Lent is turning out to be gray, cold, damp and sloggy in this part of the world. Heaps of snow still stand in shadows, and we are currently receiving rain that is melting them but then freezing into blocks of ice at night. We aren’t sure if it is the weather outside affecting our creativity or the challenge of the passages themselves for this Sunday in Lent, but we struggled to find illustrations and special effects this week. Maybe it was the odd dream that Abram had in Genesis or the unusual conversation between Jesus and the Pharisees in Luke, but we spent some time scratching our heads before finally diving in. And here is the challenge with using this theory – sometimes the passages open up like a flower fully in bloom, ready and willing to give ideas to eager preachers buzzing around them. Other times, the passages are like a hard nut sitting in the cold ground that require perseverance and sharp teeth to crack the hull. Either way, I can’t wait for spring. On a technical note, this week are adding timestamps [in brackets like this] to the show notes so it will be easier for you to find the material in the audio file. Let us know if there are other improvements that would help by leaving a comment at the bottom of the page. Rather than include the Psalm for this Sunday, we decided to add our special feature, “Smart of the Week”, this time highlighting People Smart. We’ve done a lot with this intelligence throughout this podcast, mostly because of the ease of having a group of people sitting right there in the pews. The challenge of using this built-in test sample is to find ways to engage this intelligence that are not too high risk (keeping in mind the introverts in the group), or too easy (so as to offer an “opt out” mentality). Illustrations and special effects that use contemporary groups your people encounter frequently and situations in which they regularly find themselves put the Scripture text onto their lives – trying it on for size, so to speak. Using this intelligence creatively can spill over into fellowship and study opportunities outside of worship, reinforcing ideas presented in the sanctuary. This particular smart is a great way to offer your people a chance to practice their lived-out theology with one another and gain confidence to practice it out in the world. 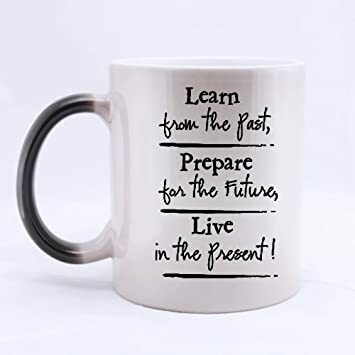 Philippians 3:17-4:1 [13:00] – If Paul were with us today, he would have this coffee mug on his desk in his office. And, he would give one to each of the Christians in Philippi, too! I think that for Paul, the past is a strong foundation on which we live as we look forward to Jesus’ redemption of all our time. In this selection from his letter, he warns his beloved flock that holding too tightly to the customs of the past can derail the present journey. Keep moving, he seems to be saying to them and us. Know who and whose you are but don’t let the past be an anchor that stops momentum. Keep pressing on! I also suspect that if Paul were with us today as a coach, he would have a few champions he could take credit for! In what ways can you encourage your congregation to tread lightly with their traditions so as to keep God’s Spirit in Jesus flowing freely in your life together? Luke 13:31-35 [20:43] – The Greek verb thelo is used three times in this passage (see link below). Jesus hears from the Pharisees that Herod wants to kill him. Jesus wants to gather Jerusalem in a loving embrace similar to a hen gathering her chicks. Jerusalem wants nothing to do with Jesus. Desire motivates humans all the time, and sometimes, we get what we want. (Other times, we get what we need.) Yet, underlying all our desire is God’s desire, present from the beginning, that we belong to God. How we react to this desire depends on many factors, including our readiness to be wanted. In the people smart illustrations and special effect, we present ways to explore how being open to God’s intended desire does or doesn’t happen in life. What other smarts can you tap into to explore God’s consistent desire for us and our willingness to receive it? Addendum: This is way too late for the podcast itself, but we got to thinking about how a catalyst in a chemical reaction can be an agent that assists in boding two other agents. This is analogous to God’s constant desire and our hit-and-miss response to it. What do we need to make the connection? How does the fox behave?